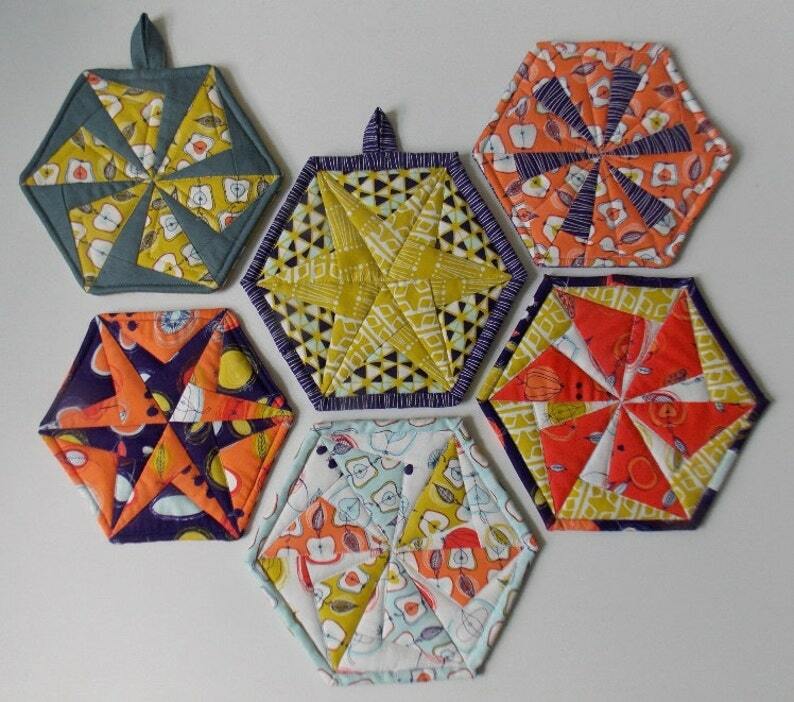 This paper pieced hexagon block is made from one simple piece that can be used to create many different looks. Full size patterns are included for pot holder and coaster size blocks. Paper piecing directions to make the blocks are not included but directions for making the blocks into a pot holder or coaster are. Coloring pages are included to create your own designs. Options for the pot holder include binding and/or a pocket back and a loop for hanging. The coaster has a pocket back to accommodate stemware. It’s a beautiful quilt and the directions are easy to understand. Cute and very straightforward instructions!